With Halloween around the corner the idea of some necromancer or warlock with a brain in a jar familiar really inspired me. Below is the find familiar spell from the current 5E Player’s Handbook. I like the new iteration of the spell and think its generic enough that there is plenty of wiggle room for a fun home brew tweak. Your familiar acts independently of you, but it always obeys your commands. In combat, it rolls its own initiative and acts on its own turn. A familiar can’t attack, but it can take other actions as normal. When the familiar drops to 0 hit points, it disappears, leaving behind no physical form. It reappears after you cast this spell again. While your familiar is within 100 feet of you, you can communicate with it telepathically. Additionally, as an action, you can see through your familiar’s eyes and hear what it hears until the start of your next turn, gaining the benefits of any special senses that the familiar has. During this time, you are deaf and blind with regard to your own senses. As an action, you can temporarily dismiss your familiar. It disappears into a pocket dimension where it awaits your summons. Alternatively, you can dismiss it forever. As an action while it is temporarily dismissed, you can cause it to reappear in any unoccupied space within 30 feet of you. 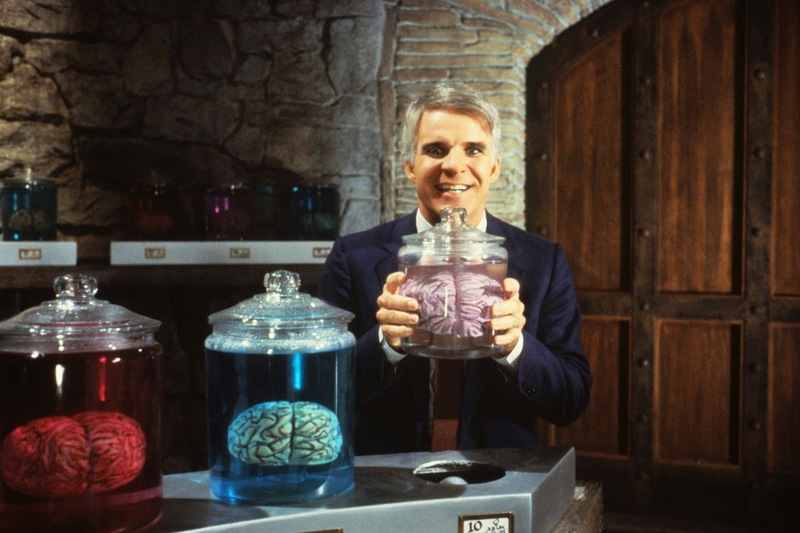 As you can see a brain in a jar obviously would not be able to perform the regular functions of a familiar since it is sedentary and without vision. So below I have outlined some changes for this very cerebral familiar. While your brain in a jar is within 100 feet of you, you can communicate with it telepathically. You may ask the brain to help you unravel some arcane or historic mystery. This comes at a cost however as the madness of the brain’s memories flash before your eyes. Make a DC12 Wisdom saving throw or suffer 2d6 points of psychic damage. Succeed or fail you gain advantage on one Arcana or History skill check on the next round. Additionally, once per day, you may sustain two concentration spells at once. During this time, you must hold the brain in the jar and may take no other actions save movement. So maybe this All Hallows Eve your players will wander into some dust covered alchemy shop at the end of dark alley. Inside they find a twisted old man with a droopy eye selling pickled monster parts and an odd assortment of pulsing brains inside glass jars. Be warned however rumor has it that certain undead are attracted to brains and may pursue any arcane practitioner using one as a familiar! Get your brains here for 100 Gold!